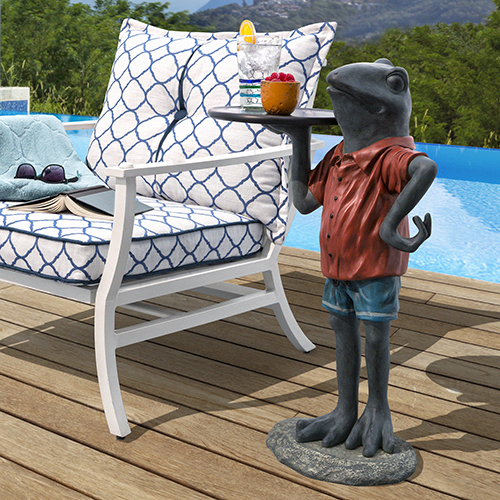 We’ve talked before about how animal symbolism can play a big part in outdoor décor, from patio cushions and pillows to planters and garden stakes. Today we’re going to delve more deeply and focus specifically on animal character tables, which can suit any taste, from sophisticated to campy and everything in between. I don’t know about you, but I’ve loved elephants ever since I first heard a Babar story and then read about his adventures with Celeste in downtown Paris. You’ll notice that all the tables below feature upturned trunks for good luck but that’s where the similarities end. Although strikingly different, the first two have obviously been inspired by Southeast Asia. The first is ceramic and two feet tall (about the right height to set books on beside a chair). 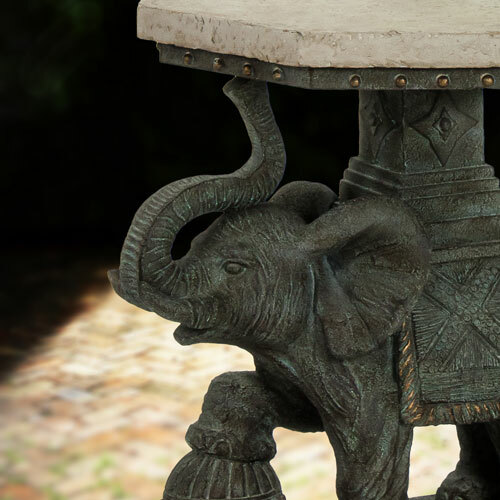 This Bali Elephant table (from our partner company, Bombay Furniture) blends warm colors of antique gold and silver. 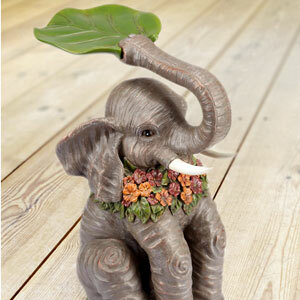 A foot tall, it’s back is perfect for books, beverages, or a small cushion. This umbrella patio table seems more classic as it is made of a faux stone composite. Something tells me “Sampson” and Babar would become great friends if they met on the backyard deck. Let’s take a leap (get it?) 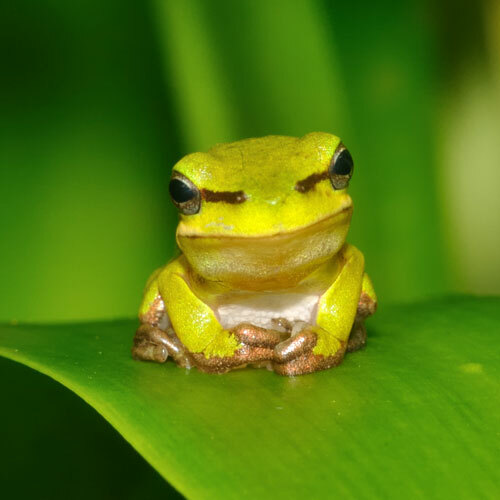 from elephants to frogs. I think the first is a perfect blend of Downton Abbey and Wind in the Willows. I can just see him serving a glass of something cold to drink! This helpful pair reminds me of twin Kermit the frogs with (iced) tea for two. Dutch Designer Hella Jongerius has a modern take with mixed materials. Although the Monarch butterfly isn’t really an animal, it’s a beloved pollinator! 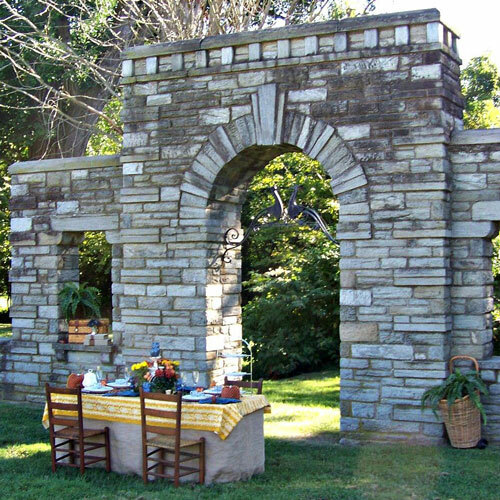 (See our Story on How to Attract Monarchs!) Here are 3 Monarch tables. The patio table (left) is both practical and innovative. Who doesn’t love Bassett Hounds, especailly ones so eager to please? This table, desgined by Mark Stoddart, showcases a Hippo rising from beneath the glass surface, just as real ones do in the wild. Happily, this one won’t wreck your house, however. So there you have it, some of our favorite animal character tables. If you enjoyed this, check out our Story on Wrought Iron Animal Decór!